), and the Royal and the Illustrious Brotherhood of Our Father Jesus in the oat known as El Prendimiento (Jesus Arrested). HOLY TUESDAY 11 APRIL 10 pm: PROCESSION of the Brotherhood of the Pardon and the Ecce Homo Brotherhood. OLY WEDNESDAY 12 APRIL 6:30 pm: PROCESSION of the Secular Franciscan Order and Illustrious Stewardship of Our Father Jesus. 10:30 pm: PROCESSION of the Brotherhood of the 'Last Supper' Eucharist and the Royal Brotherhood of 'Jesus Washing the Feet'. MAUNDY THURSDAY 13 APRIL 11 pm: PROCESSION of the Brotherhood of Silence. GOOD FRIDAY 14 APRIL 2 am: PROCESSION of the Penitential Brotherhood of the Holy Christ of the Good Death. 6:30 pm: GENERAL PROCESSION of the Passion, organised by the General Easter Week Brotherhood, Sisterhood and Stewardship Board. 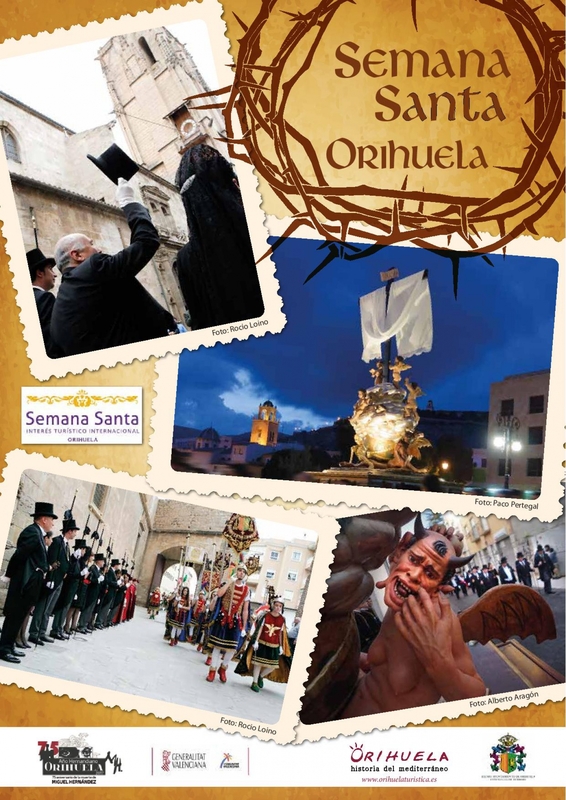 EASTER SATURDAY 15 APRIL 7 pm: PROCESSION of the Holy Burial of Christ, organised by the City Council. Civil-Religious Procession with the float of the She-Devil. EASTER SUNDAY 16 APRIL 12:30 am: PROCESSION of the Brotherhood of the Resurrection.